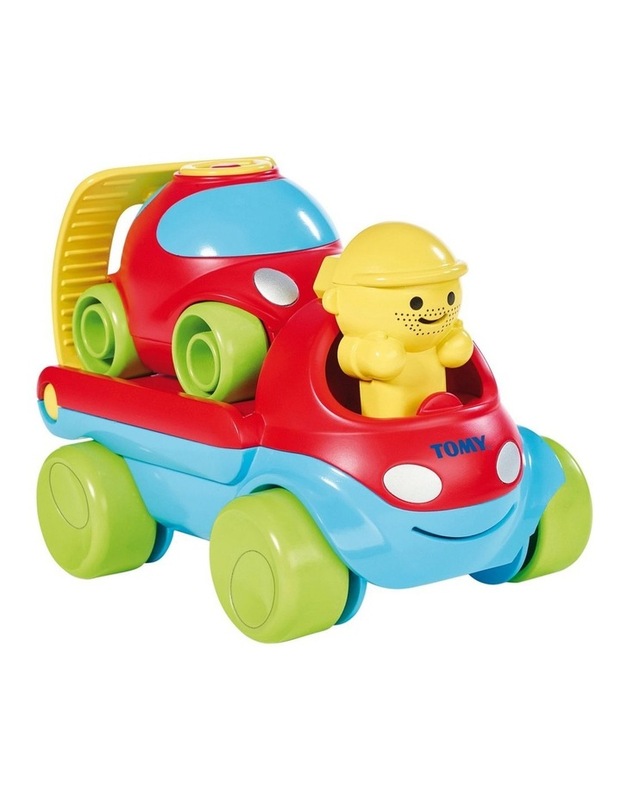 Fix and Load Tow Truck from TOMY is a 3-in-1 car that's coming to the rescue and is ready to save the day! Give the truck a push and it glides along. Use the driver to wind up the car, press down on the red button and it will move forward all by itself! Use the flip-down ramp to load the car into position, wind-up and push the button, and watch the car and truck magically move along.